A new way of playing Robocoop is using the newly unveiled Hydraulic-Powered Anthropomorphic Exoskeleton funded by Lockheed Martin. The Hydraulic-Powered Anthropomorphic Exoskeleton is made of titanium components for compromising weight and has on-board processor to control the hydraulics sensors at the leg joints and chassis monitor for every movement. 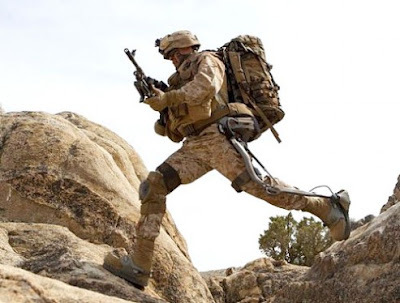 Also known as Human Universal Load Carrier (HULC), this Hydraulic-Powered Anthropomorphic Exoskeleton is a joint partnership product with Berkeley Bionics. According to news released by Berkeley Bionics, HULC exoskeleton has recently begun eight weeks of rigorous field tests in Afghanistan. The flexible design allows for a complete range of natural movements, including kneeling crawling, squatting, and a run up to 10 mph. The pioneering idea is to help soldiers with loads to carry to withstand long missions in the battle field by decreasign the oxygen consumption and preventing fatigue. 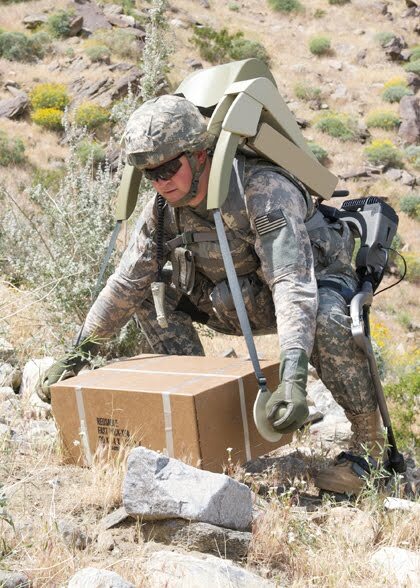 A soldier using the Hydraulic-Powered Anthropomorphic Exoskeleton will be able to carry up to 200lbs on the backpack frame plus the 53lbs of the device itself, alleviating the carried weight. The Hydraulic-Powered Anthropomorphic Exoskeleton system currently is running on four lithium polymer batteries for up to 48 hours of continuous operation or capable of approximately 480 miles of distance after a single recharge. However, Lockheed Martin is planning to collaborate with Protonex Technology Corporation to develop a fuel cell-based power pack for extended missions lasting 72+ hours, as well as rechargeable capabilities when all else fails. 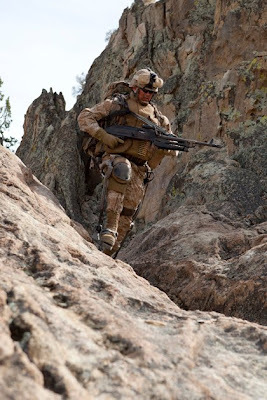 The newer models, including ExoHiker and ExoClimber will be able to solve the problem of heavy loads and rapid ascensions and climbing steep slopes for soldiers. 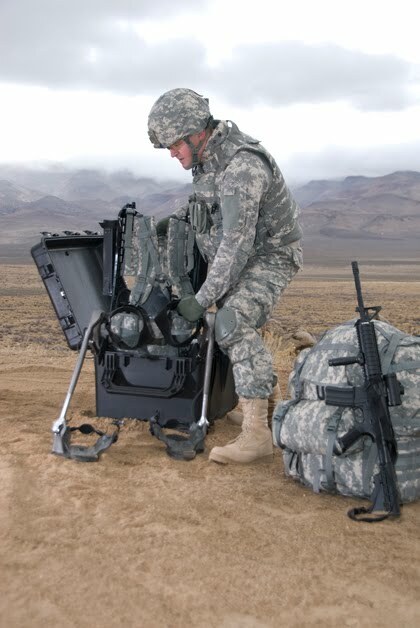 The current model has been designed with three separate purposes of military, industrial and medical. However for the industrial and medical purpose, the latest model since undergo development phase, it would really be a great gadget if applied into medical field and will be capable of helping patients with mobility disorders problem.